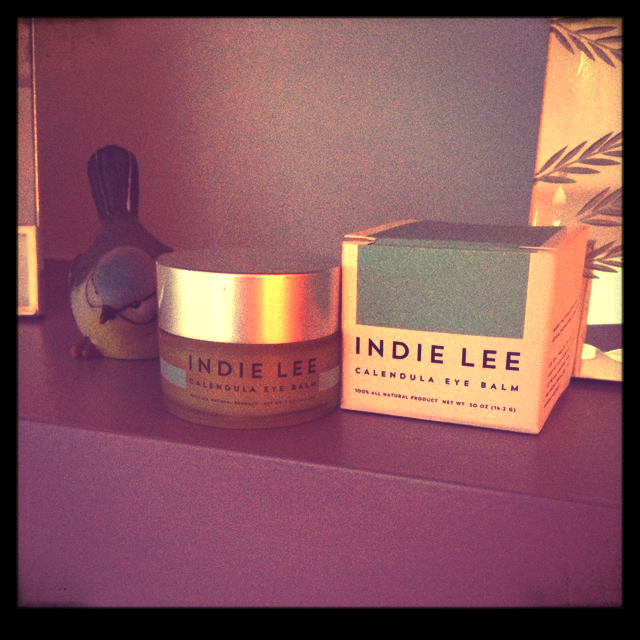 If you’re looking for a rich and deeply soothing eye product then Indie Lee’s Calendula Eye Balm is worth trying. I’ve been using this little wonder balm for about a month now and it’s just as healing on chapped lips and other problem areas as it is around the eyes. As with all Indie Lee products it’s entirely natural: mango seed butter to reduce dark circles and calendula oil, beeswax and lavender oil to aid skin elasticity (calendula is also known for its anti-inflammatory properties). I’d recommend applying about 15 minutes before you put on eye make up as it does leave a bit of a sheen, as you’d expect with all those natural oils. I’ve got very sensitive skin and it’s cleared up a bit of ezcema I had on my eyelids. And, despite having a young baby, people keep telling me how fresh I look so it must be good! It’s not cheap but a little goes a long way. Natural credentials: 100% natural with mango seed butter, calendula oil, beeswax, and lavender oil.